For more than four decades, High Country News — and a loyal community of readers — have sought to inform and inspire people to work on behalf of the West. What better place to accomplish this mission than at a library? 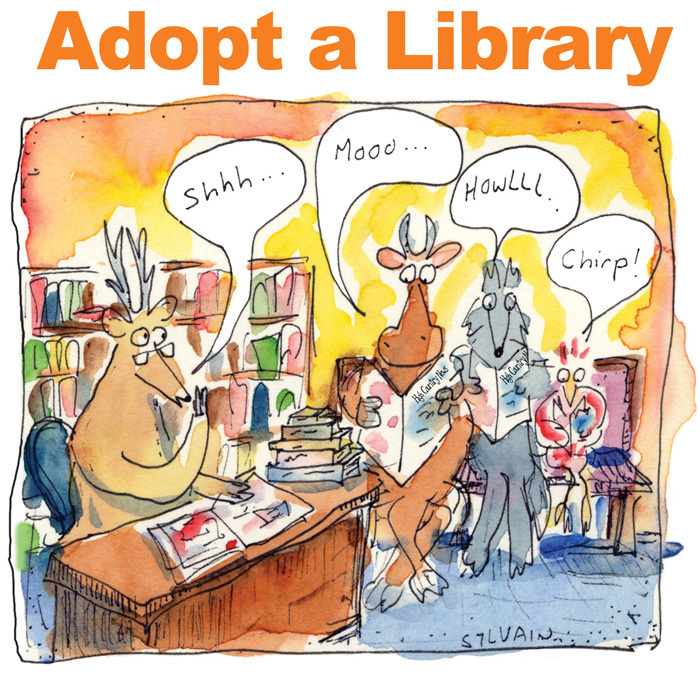 Adopt a library for only $37 a year (20% SAVINGS off the regular institutional rate) and help fill in the gap with a gift subscription to HCN for the library of your choice (or one we choose for you). View our Google map to help you pick a library in your area and see where HCN can currently be found. If you don't have a specific library in mind, HCN will choose a library in your area. Each library will be notified of their subscription to HCN as a result of your generosity. Start by expanding the map of interest by clicking on the button in the upper right corner of the map. Once expanded, use the buttons in the lower right corner to zoom into a specific location (or use the scroll button on your mouse). Click and drag your mouse to move around the map. Click on the icons to see the address of a specific library. To view public libraries in New Mexico, Washington, Utah, Oregon, and Nevada where HCN is NOT currently placed. To view public libraries in Arizona, California, Colorado, Idaho, Montana, and Wyoming where HCN is NOT currently placed. Your tax-deductible donation to the High Country News Research Fund supports hardworking journalists who produce stories that shine a light on the West's changing landscapes and communities.